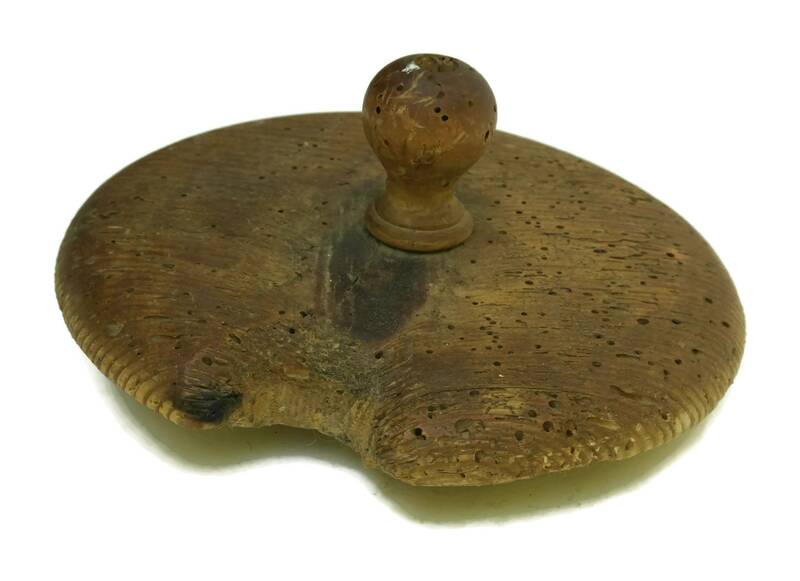 French Antique Stoneware Pickle Jar. 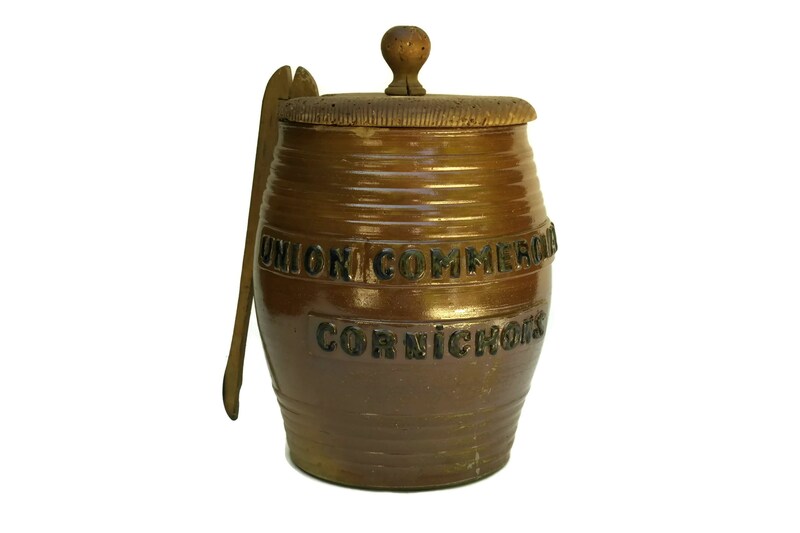 Large Rustic Kitchen Decor Gherkin Canister with Advertising. 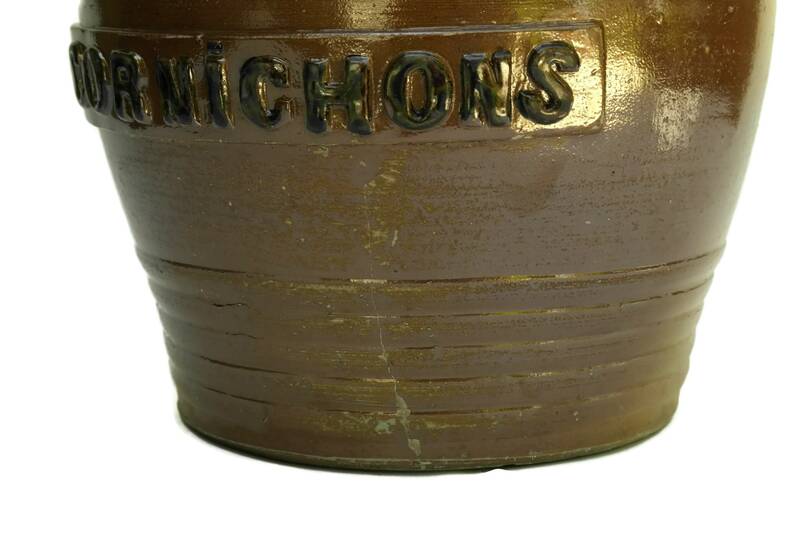 Cornichons Pot. 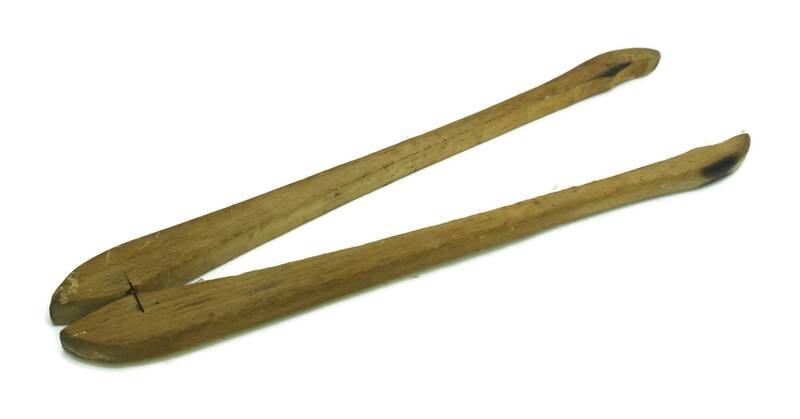 Foodie Gifts. 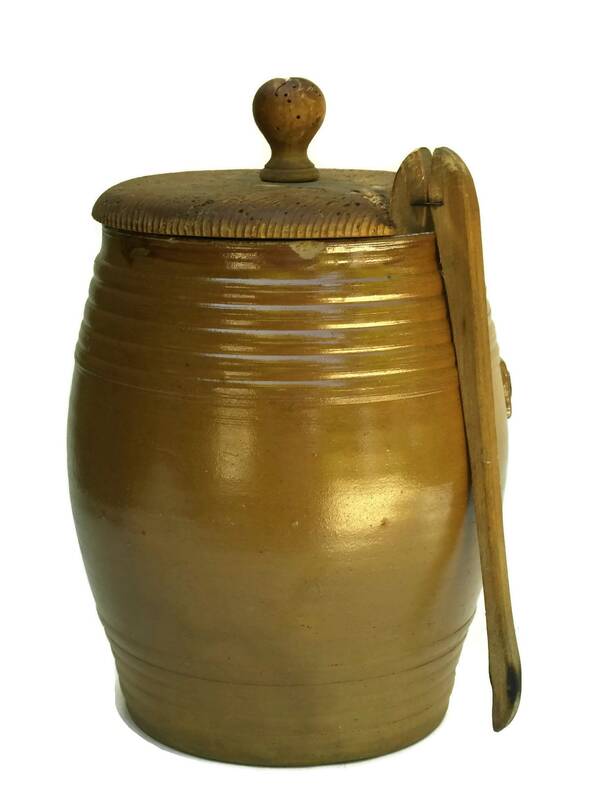 A large antique French stoneware pickle jar from the early 1900s. 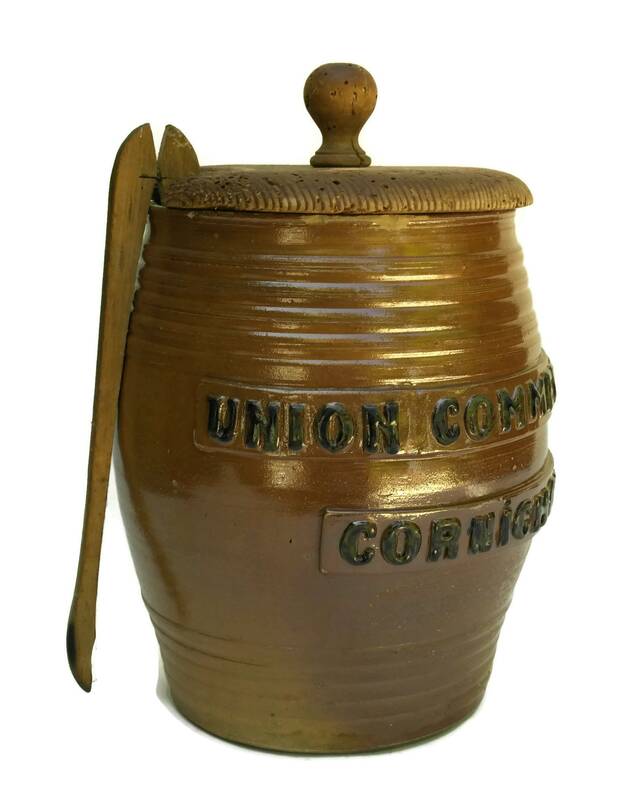 The rustic canister was originally used to store gherkins on a deli counter and features French advertising for the brand "Union Commerciale Cornichons". 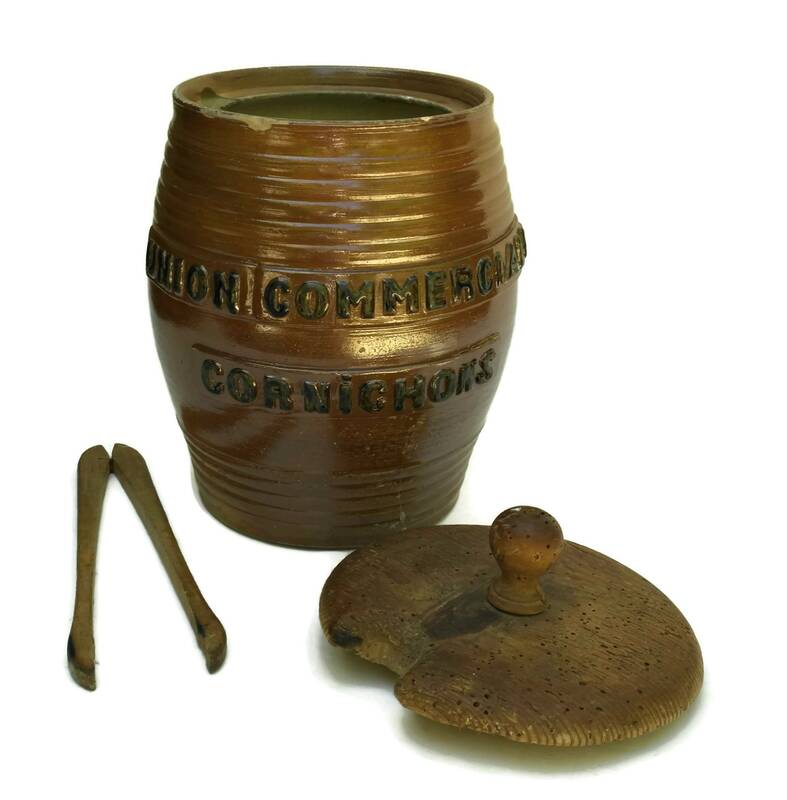 The ceramic kitchen pot has been glazed in a rich shade of brown and comes with its original wooden lid and pickle tongs. 7" Wide x 11" Tall (18 cm x 28 cm). 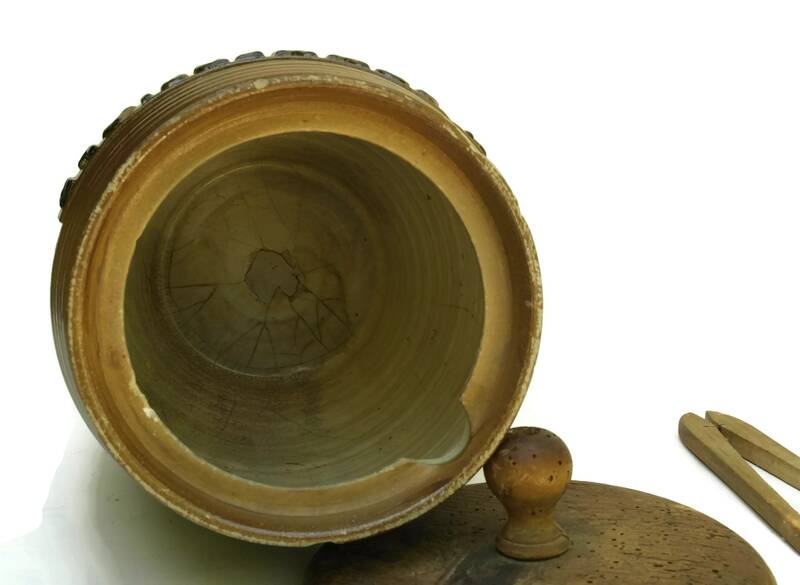 The antique stoneware pickle jar is in fair condition with signs of age and wear. 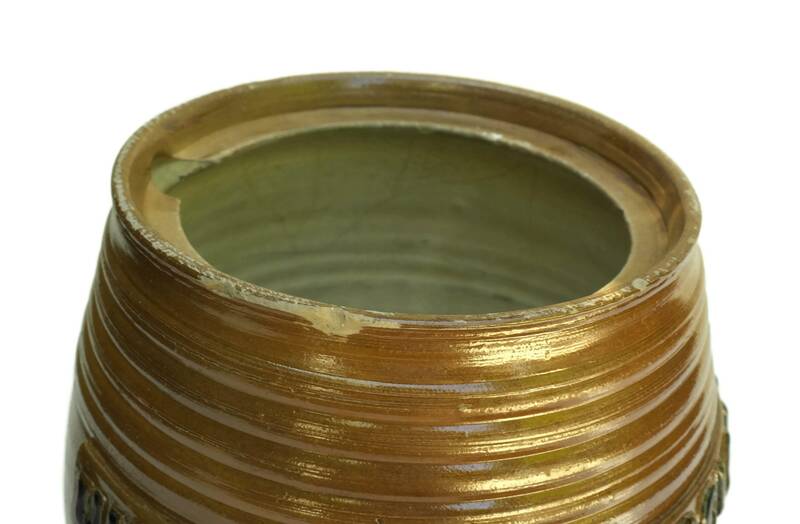 There are surface marks and patina to the glaze and thin hairline cracks in places. 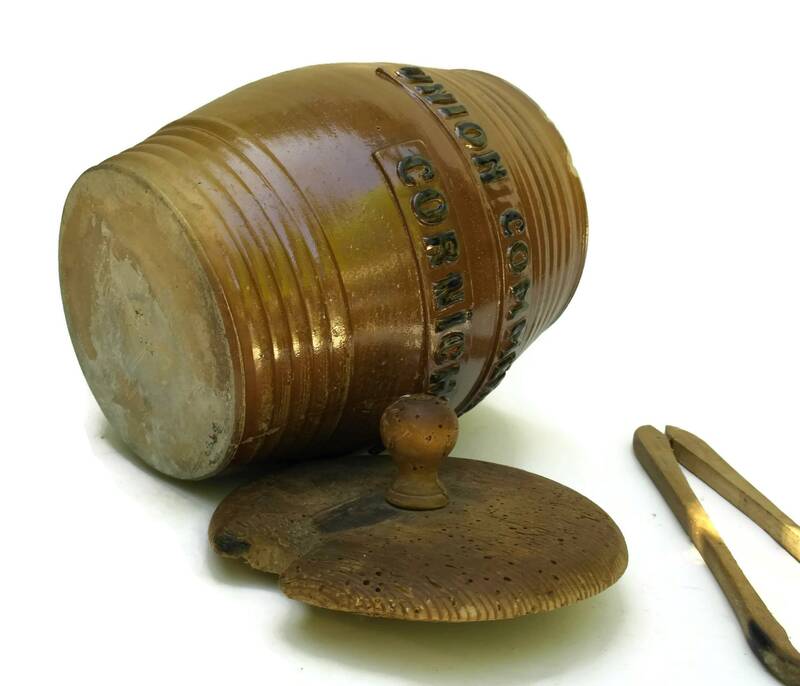 The base has a small area of restoration at the center and there are small chips around the rim of the jar.